Provide comfort for the family of Aldo DeLuca with a meaningful gesture of sympathy. 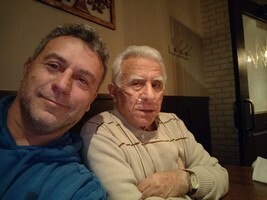 Aldo DeLuca of New Hope, PA passed away on Friday, February 8, 2019 at his residence surrounded by his family and friends. He was 79. Born in Castrolibero, Italy Aldo immigrated to the United States in 1962, settling in Highland Park, IL. He moved to Flowery Branch, GA for 18 years before moving to New Hope, PA in November 2018. Aldo was formerly employed as a facility engineer with Stevenson High School in Lincolnshire, Illinois; Flowery Branch High School in Flowery Branch, Georgia and a management company in Northbrook, Illinois. 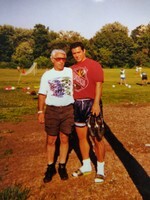 He played professional soccer for the Cosenza Calcio Italian Soccer Club when he lived in Italy. Aldo played, coached and was a referee for various clubs, school teams and youth leagues. He loved to pass time by doing crossword puzzles and playing Scopa, an Italian card game. He was the beloved son of the late Vincenzo and Maria (DeRose) DeLuca; loving husband of 54 years to Marjorie (Lonngren) DeLuca; devoted father of Maria DeLuca-Frane, Aldo J. DeLuca and wife Danielle; dear brother of Gaspare DeLuca and the late Armando DeLuca; loving grandfather of Sarah, Shannon, Taliah, Mason, Zola and Leo. A viewing and memorial service was held in Doylestown, Pennsylvania on February 9th, 2019. Donations to the American Lung Association in Aldo DeLuca’s name are much appreciated. To plant a memorial tree in honor of Aldo DeLuca, please visit our Heartfelt Sympathies Store. We encourage you to share your most beloved memories of Aldo here, so that the family and other loved ones can always see it. You can upload cherished photographs, or share your favorite stories, and can even comment on those shared by others. I loved just going to Aldo John’s house with Kyle and just sitting and talking to Aldo. He was kind and had great stories to tell. I will always think of him with love and fondness. Also will be greatly missed. My heartfelt condolences for your family. I missed having him and Marge as neighbors in Vernon Hills.